Ever since the first Amazon Fire TV was launched in 2014, Amazon continuously endeavored to improve their network appliance and entertainment device. Some of the notable changes seen through the years are a reduction in device size and incorporation of new technology including voice search to the list of features. Today Amazon is keeping up with popular online TV service providers including Roku and Apple TV. There are two generations of Fire TV devices. Originally $99, the first-generation device included video resolution up to 1080p at 60 fps. The second-generation devices not only addressed flaws seen in the gen 1 Fire TV box, but now include improved video support, up to 4k Ultra HD. Released on the April 2, 2014, The first device included 2GB memory, 2X2 MIMO support, a 1.9 GHz quad-core processor, and 8GB of internal storage. In addition, the first generation devices supported 1080p image quality and Dolby digital 7.1 surround sound. The original FireTV included Wi-Fi support and an Ethernet port to connect to the internet. Users could save media to an external flash drive through the integrated USB 2.0 port, and play it back later from another device. Other features included an external microphone for voice search support, a dual-band wireless radio, a free game, and Sev Zero (included during the promo launch). With the first generation device, you could access over 10,000 apps, games, videos, and music at the push of a button. However, some users started to notice various limitations which included: low memory, slow internet connectivity, and limited internal storage. Amazon took these limitations into account and improved upon them in the second-generation. The current generation of Amazon TV devices come with a host of new features including improved wireless connectivity, sharper images, and better reception quality. The Fire TV 2 was released towards the end of 2015 and adapted to some of Google’s new video support codecs. 1080p viewing was enhanced with 4K Ultra HD and Wi-Fi broadband was upgraded to 802.11a/b/g/n/ac. This new digital streaming device also received a revamped digital i/o, stepping up to 2×2 MIMO from the previous MIMO. Bluetooth version 3.0 was replaced with the more current Bluetooth 4.0 standard. Amazon upgraded the graphics chip to a MediaTek 8173C, which supports a wide range of video codec including H.265, Google’s VP8 and VP9. However, not much has changed in terms of internal storage space and internal memory. Although the Fire TV box has not received additional updates since 2015, Amazon has developed and introduced a variety of new devices to take advantage of their home streaming service. These devices include the inexpensive and popular Fire TV stick. Much like the Google Chromecast and the Roku Express, the Fire TV stick is about the size of a USB thumb drive and connects to your TV through an HDMI plug. This “diminutive” design appeals to consumers looking for more attractive devices, i.e. devices you don’t see. It’s definitely nice to have access to powerful streaming TV equipment without the clutter caused by unsightly wires and cords. Like its big brother, The Fire Stick has had two separate releases. The Gen 1 stick boasted the same internal storage of 8GB as the much larger gen 1 Fire TV box. However, with only 1GB RAM, a slim 1.2 GHz dual-core Cortex A9 processor and its Broadcom VideoCore graphics card, the stick can’t quite keep up with the large unit. The Fire Stick came with a remote control that, depending on which package you ordered, included voice search capabilities. On October 20, 2016, Amazon released the second gen Fire TV Stick. This was two years after the launch of its predecessor. Generally speaking, the device improved in every way. Most notably, Gen 2 Fire TV sticks now include enhanced wireless connectivity, advanced graphics cards, and improved voice search support. Quad-core ARM processor with speeds of up to 1.3 GHz. Weighing in at 1.1 oz., it’s slightly heavier than the gen 1 model, but we can’t see that ever being a problem. Internal memory is still set at 1GB with 8GB. It remains unlikely that Amazon will ever increase the available storage, especially given Amazon’s increasing emphasis on cloud storage. All Amazon Fire TV devices run on Fire OS which has been adapted from Android. By using an open source platform, Amazon has made it easy to enable gaming companies and other software developers to seamlessly integrate with their products. A software update that supports an expandable mass storage option. This update was designed to allow users to boost the storage capacities of their Fire Sticks so that they can save more videos, audio, and games into their devices. Private listening was now an added feature supported via Bluetooth technology. Users could now connect their Bluetooth headphones and enjoy a quiet time on their favorite subscription channels. The new update supported hidden pin logins; before, anyone could see the numbers you type in the password section. The new updates came with improved sleep features and display mirroring. Amazon Fire TV is available in the US, UK, Japan, and Germany. You can access Amazon TV services if you live in any of these countries. However, you require Internet connectivity to access services. You do not need to be an Amazon Prime subscriber to use Fire TV! A basic account is sufficient to set up your Fire TV in minutes and start streaming your best videos or channels. You can use any of the available online video streaming apps on the Amazon Store to watch Fire TV channels. To set up, first plug in the Fire TV stick onto the HDMI port at the back of your TV. In case the Fire TV stick interferes with other devices on your TV, you can use a HDMI cable extension cable to plug the stick in. If you do not have HDMI but have a cable TV receiver, plug into the receiver. Next, connect the other end, with the USB port, to the USB power cable that comes with the box. Once your Fire TV stick or black box is powered, you can start to set up your Fire TV account. After that you can use your Amazon account to activate your Fire TV subscription. You can either use an Amazon Prime or Amazon basic account to activate video streaming. Any Fire TV stick purchased directly from Amazon will come pre-loaded with the owners account details; thus a second sign up will not be necessary. However, you may be required to log into other 3rd party video streaming apps like Netflix and Roku. Once everything is setup, you should receive a welcome video from Amazon. This video is quite useful and comprehensive in giving you a mini-tour of the entire Fire TV set-ups. Within minutes after watching the introductory video, you will already have figured out how to access different features, toggle using the remote, and how to use the personal assistant Alexa. The remote control is your only means of navigating through channels and videos, so don’t lose it. It’s a simple enough remote with conveniently placed buttons for navigation: home, menu, select, play/pause, Fast-forward, rewind and voice search (microphone button) which activates the voice command prompt. The remote is Bluetooth enabled and will still operate the Fire TV stick even when you do not point the remote directly at it. While on the TV screen, a directional arrow will appear to show you where you are scrolling. This lets you know which videos or features you are about to click on. Replaceable AAA batteries power the Bluetooth remote. The highlight feature on your second generation Fire TV Stick is the new personal voice assistant Alexa. If you own an Echo Dot device by Amazon, you already have an idea how Alexa works. However, the voice assistant’s functioning is pretty straightforward and you will find Alexa to be a useful shortcut to viewing your favorite content. To activate you echo, press the microphone button on the remote, and wait for Alexa “come to life”. Tell Alexa what you want her to do and she will navigate to your specified request. If you want to watch a second episode of your favorite TV channel, just mention the program and the particular episode and Alexa will find it. Each time you talk to Alexa, a pop-up windows appears on your TV screen detailing the command you requested. These pop-up windows are referred to as call cards. They also come up when Alexa is displaying a visual of the answer she is giving you. The advantages of the echo go way beyond the ability to change the TV channel with your voice. Alexa can also be used to set up your smart-home experience, a feature that was once only available with the Amazon Echo. Amazon has partnered with several companies that supply products that help design home living experience. This means that the next time you tell Alexa to play the third season of ‘America’s Got Talent’ you can also tell her to turn off the lights to your entertainment room. You can make this experience a reality by purchasing Philips Hue lights together with your Fire TV device. And this is just a tip of the iceberg; there are additional products on the market like Samsung SmartThings or Hive that also integrate with Alexa voice prompt to design your smart home. Your Amazon Fire TV account directly links to your Amazon account. Therefore, most of your media purchases on the Amazon store will reflect on your Fire TV. If you purchased music on the Amazon store, your audio albums or playlists will display on any music app you have downloaded. In addition, Fire TV can be used as a gaming platform by downloading gaming apps from the Amazon store. Amazon initially used Sev Zero game to market their first ever digital player black box. Today you can access free games like Dead Trigger, Minecraft, Lego, Star Wars, Sonic, Crossy Road, Tetris, or Goat Simulator via your Fire TV stick. And the best part, your remote automatically turns into a gaming joystick to navigate through the games. Fire TV stick and Fire TV box both support a casting feature. It allows you to project videos or audio content from your mobile device onto your TV. If you just discovered a new music video and want to stream it, why not cast it to your Smart TV via Amazon Fire TV? Just download the streaming app on your Fire TV stick and mobile device to get started. Another beneficial feature is parental control. 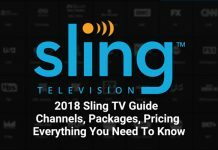 You can control what is streamed, subscribed to, or paid for on your Fire TV subscription. This parental control feature has the ability to override any password previously set up to prevent your kids from accessing inappropriate content. Many of the limitations of Fire TV devices are exhibited more on the Fire TV stick than its predecessor, the Fire TV box. For instance, Fire TV stick only supports 1080p videos and has no codec support for 4K UHD content. If you want to stream in 4K, you will have to invest in the more expensive Box. In addition, you will need a 4K TV to stream UHD videos or TV channels. Without an Amazon account, you cannot access the services of Amazon Fire TV. 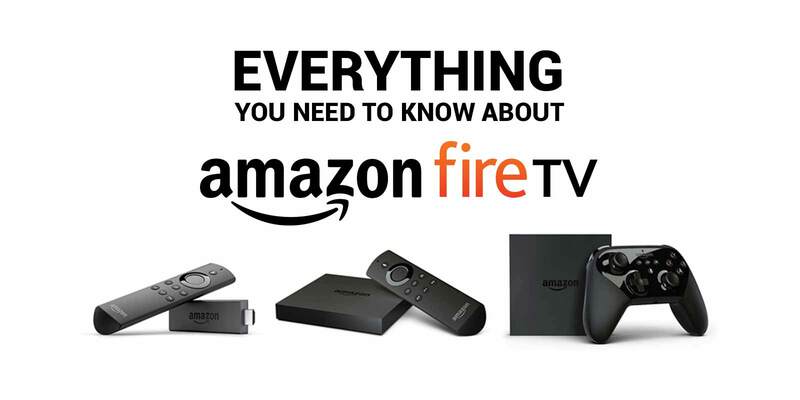 Nevertheless, it is safe to assume that you already have an Amazon account if you are thinking of purchasing Fire TV. The good thing is that you do not need to be on a paid Amazon account to start streaming content. Compared to the previous Fire TV black box, the Fire Stick is much slower in terms of internet connectivity. In addition, you need to stay connected to the Internet to continuously access your Fire TV subscription. Here’s a quick tip to overcome connectivity issues. Use an Ethernet cable to connect the Fire Stick to the Internet. Lastly, some users complain that the new remote controls are not as aesthetically designed as previous Fire TV remote controls. The buttons feel creaky when pressed compared to the earlier version. Nevertheless, Alexa voice prompt will work pretty fine and will receive your instructions in crystal clear quality. The popularity of Amazon TV devices has greatly increased through the years for a reason. Amazon Fire TV devices have come a long way to develop the quality streaming services. Amazon Fire TV is definitely worth considering if you’re deciding to cut the cord.